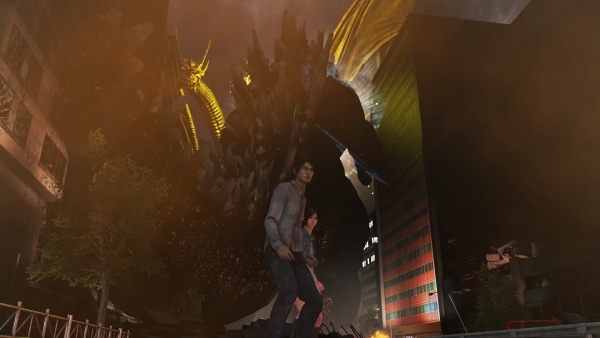 City Shrouded in Shadow PS4 game showcases some new screenshots featuring the likes of Gamera, the Eva-01, and other kaiju along with new game details. 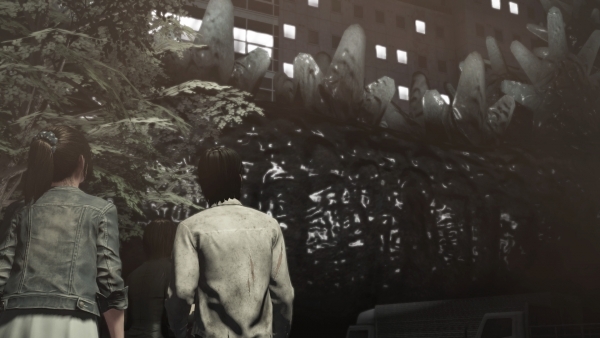 Granzella Inc. recently showcased some new screenshots and confirmed new information for its upcoming game City Shrouded in Shadow! 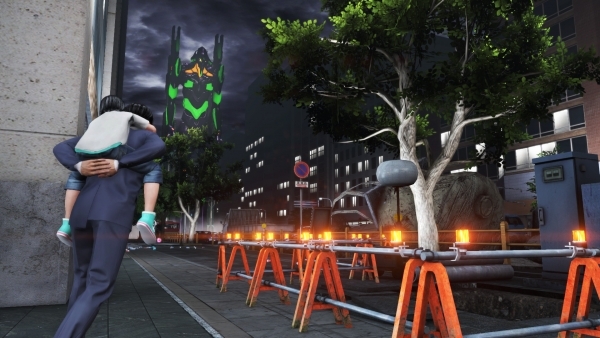 Firstly, these new screenshots came in the form of the previously announced Gamera, Soldier Legion, and Evangelion Unit-01 in addition to screenshots for the game’s characters and giant shadow scenarios. 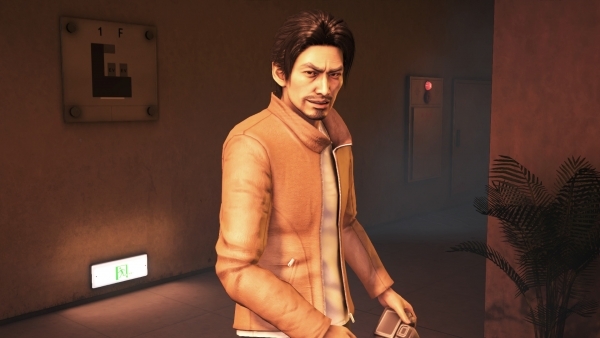 As previously stated the game’s characters consists of: Ken Misaki (voiced by Takuya Satou), Miharu Matsubara (voiced by Satomi Akesaka), Yuki Kouno (voiced by Reina Ueda), Hideyasu Ootsuka (voiced by Ryouta Takeuchi), and Risa Kashiwagi (voiced by Yuuko Kaida). Their details are listed below. 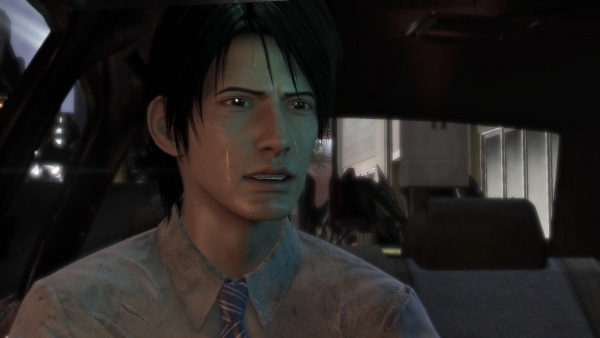 “Ken Misaki is the male protagonist who lives in the city where this game takes place. On a certain rainy night, he encounters a variety of giant shadows after seeing a strange flash. He was trying to go to the park, where an important person was waiting, when a giant shadow suddenly appeared and began to destroy the city. To rescue the girl waiting for him at the park, he makes a bolt towards the giant shadow trampling the city. 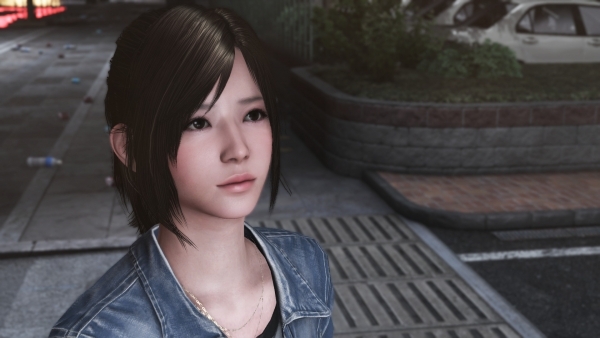 Miharu Matsubara is the female protagonist who lives in the city where this game takes place. 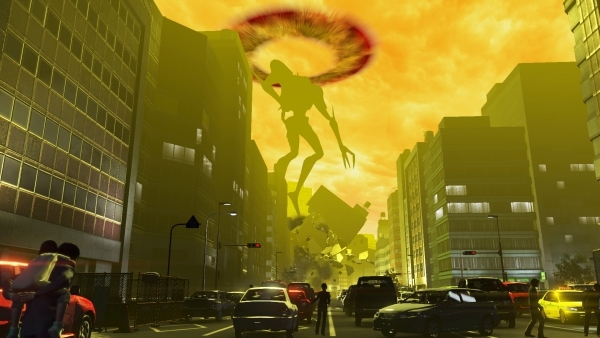 After witnessing a strange flash, she encounters a giant shadow destroying the city. 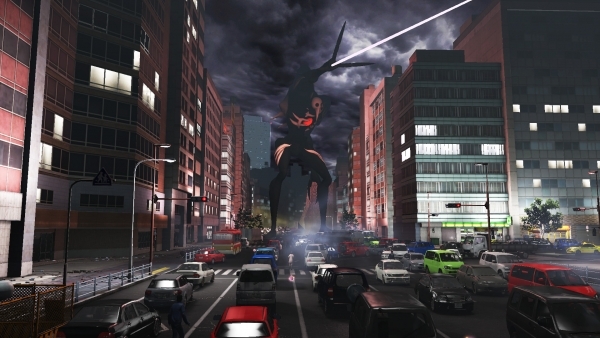 In the city exposed to the giant shadow threat, she will meet a variety of people. People who ask for help, people who will lend a helping hand, people who take advantage of the chaos, and people who will take aim at her life…! She must survive while getting caught up in the vortex of everyone’s expectations in the extreme conditions caused by the giant shadows. Yuki Kouno is the heroine who was supposed to meet the protagonist at the park when the giant shadows appeared. Along with the hero, she will survive the threat of the giant shadows that appeared in the city. She has a bit of a timid personality, and in this unprecedented disaster caused by giant shadows, places great confidence in the protagonist. She is usually somewhat carefree, kind and sociable towards others, and is the type of person who cannot ignore those in need. 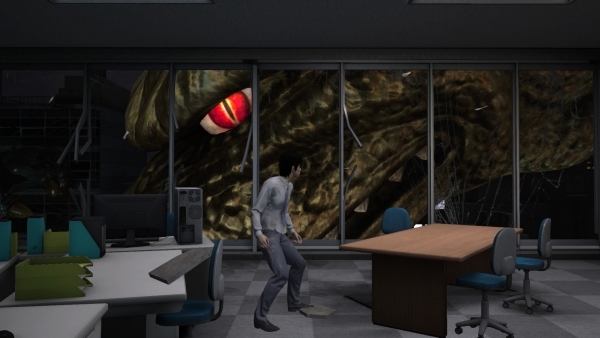 Hideyasu Ootsuka is a web news writer covering the giant shadows and trying to get a scoop. He is a seemingly crude man who appears troubling at first glance. He is usually writing articles for the web news, mainly covering sub-culture and gossip, while also revealing corporate and government fraud, as well as doing extortion-like things. He has an extreme attachment to money, and doesn’t dislike danger if it means getting a scoop. He will also try to use anyone. He keeps an eye on whether there is some sort of cause-and-effect relationship between the protagonist and the appearance of the giant shadows. The game gives players the option to start with either Ken or Miharu, being able to select their name, occupation, initial clothing, and initial hairstyle; moreover, their clothing and hairstyle can be changed again during the game. In addition to that, Yuki’s initial clothing and initial hairstyle can be selected; with the ability to change them during the game. Most notably, it is up to players if Yuki ends up as either the “lover” or the “friend” of the chosen protagonist. Currently (as of this writing), the confirmed giant shadow scenarios are: “The Giant Shadow Whose True Form is the ‘Giant of Light’“, “The Giant Shadow Whose True Form is the ‘King of Monsters’“, “The Giant Shadow Whose True Form is an ‘All-Purpose Decisive Humanoid Weapon’“, and “The Giant Shadow Whose True Form is a ‘Flying Giant Monster’“. Their details are listed below. 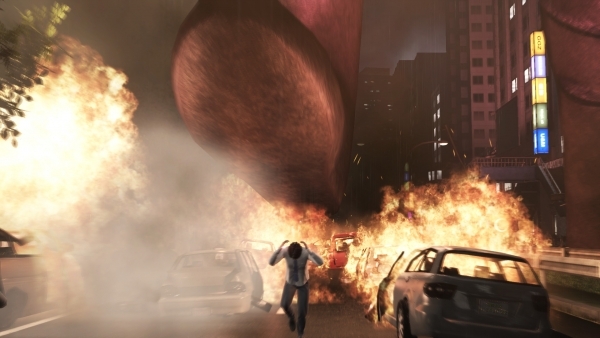 Two “giants” suddenly appeared in the city, one of which destroys buildings and covers the city in flames. The other one appears alongside a light and fights to protect the city and its people. What appears before the protagonist’s eyes is an intense battle that unfolds on an overwhelming scale. The living threats attack the people. Any movement by the giants is a major threat to humans. The Giant of Light fights against the other giant, and the results reveals the other giant’s true form. The shadow’s true form comes to surface in the dark of the night. In the fierce battle that unfolded in the city, there was a Giant of Light. The other giant’s true form is finally revealed as that of a space alien. His name is Alien Zarab. By appearing in disguise as a “Fake Ultraman,” Alien Zarab planned to have the Giant of Light, Ultraman, misunderstood as an enemy of the planet. 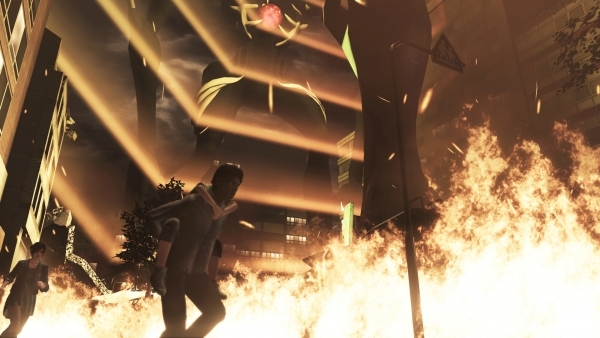 Alien Zarab, who got Ultraman out of the way for a short time, continues to destroy the city. Peeping out from buildings, Alien Zarab tramples down on the city. Humanity does not have the means to combat this overwhelming destruction. 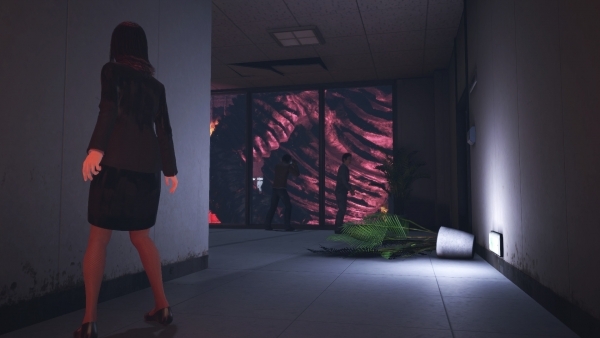 These fierce attacks drive the protagonist and heroine into a corner. An alien invasion. A trap lurking behind a supposed friendship. 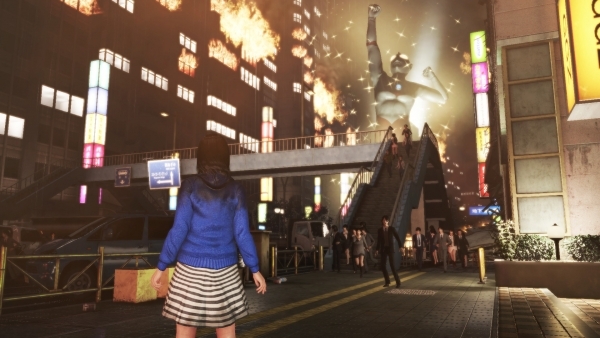 The protagonist and company rush to a specific building at night. At that time, two giant shadows approach the city. The rays of light rush along to cover buildings flames, and the roaring of the two giant monsters cuts through the city. 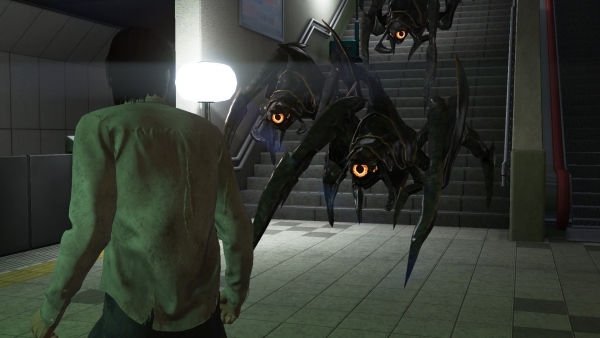 In order to accomplish his mission, the protagonist runs through the sinking city. The “King of Monsters” reveals himself before the protagonist and the others with a huge splash, who were all aboard the same search boat. 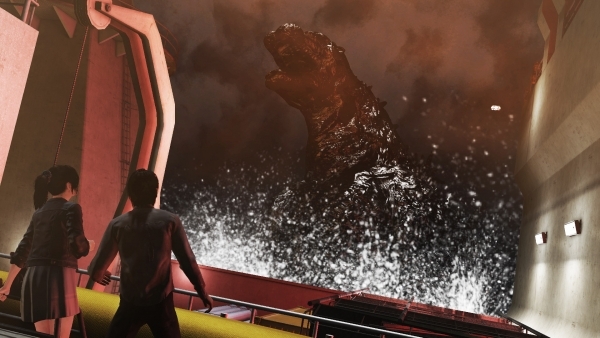 Humanity’s chance meeting with “Godzilla.” That giant’s movements shake and swing the boat. The loaded containers shift about, and in the broken steel tower scraped by the shock, the protagonist and the others’ escape begins. The roars of two monsters that tear through the night. Godzilla versus King Ghidorah—the greatest battle has begun. The giant monsters trade blow after blow. The shocks created shake buildings and shatter windows. Such overwhelming power leaves the humans living in the extraordinary unable to move. What unfolds before their eyes is the decisive battle between two giant monsters. A new giant shadow appears before the protagonist and company. For humanity, this Fourth Angel was a threat. The attack aircrafts that were a fruitless effort to counterattack against the Angel’s fierce attacks were shot down. The Evangelion Unit-01 that appeared from the sky at that time confronted the Fourth Angel with the Gatling gun on his arm. 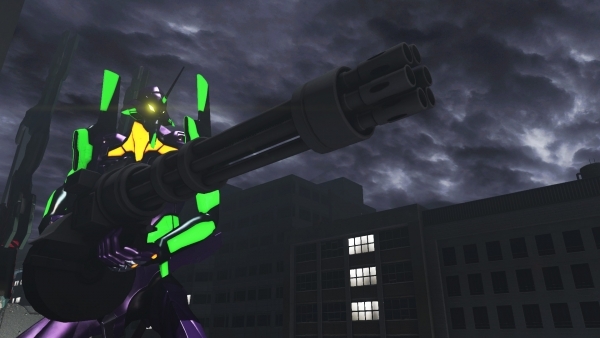 Evangelion Unit-01 rapid-fires its Gatling gun at the Fourth Angel. The countless number of ammunition shells strike at the asphalt. However, it seems that the attacks have not passed through to the Angel at all due to its A.T. Field. Is there a means to fight against this Angel that so calmly invaded? The giant brought about a threat to humanity. And fighting against it is All-Purpose Decisive Humanoid Weapon. Unable to effectively attack due to the Fourth Angel’s A.T. field, Evangelion Unit-01 is driven into a corner. Unit-01 damages its head. However, Unit-01, which appears to have stopped functioning, rises and restarts with the roar of a beast, then swoops down on the Angel. 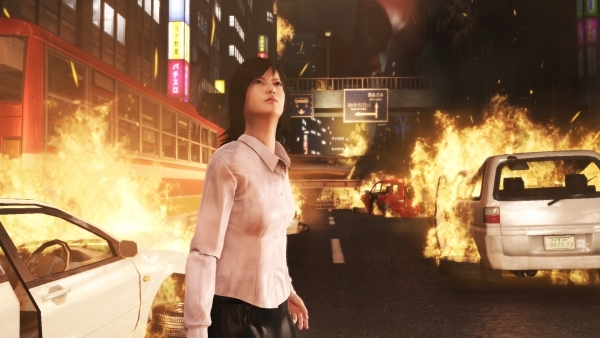 The protagonist and heroine take refuge in the subway to escape from the threat. However, following an urgent broadcast, the trains suddenly stop. 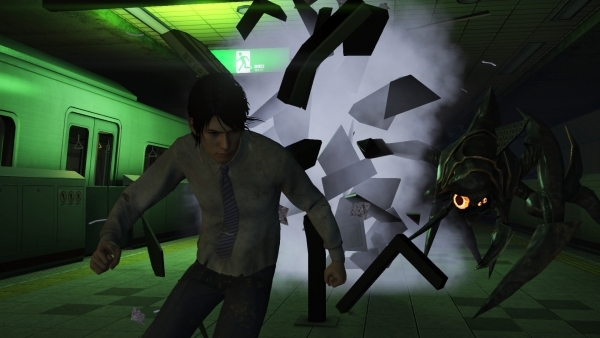 In order to get above ground and escape on foot, the protagonist must move forward with the other passengers in a subway station shrouded in darkness where never before seen monsters approach. 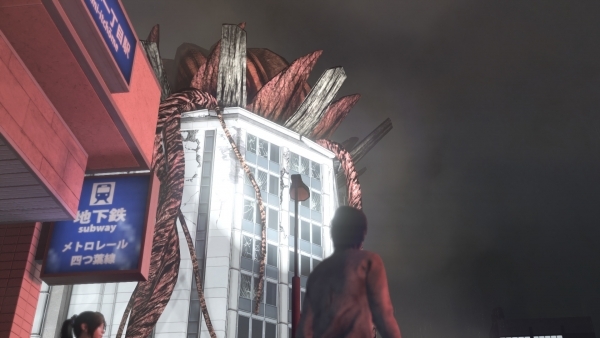 Looking up at the building, a plant-like giant grass body is rooting from the top. Legion Soldiers emerged from the basement and appeared before the great number of curious onlookers and attacked. When it all turned to panic, a giant monster swooped down from the sky. 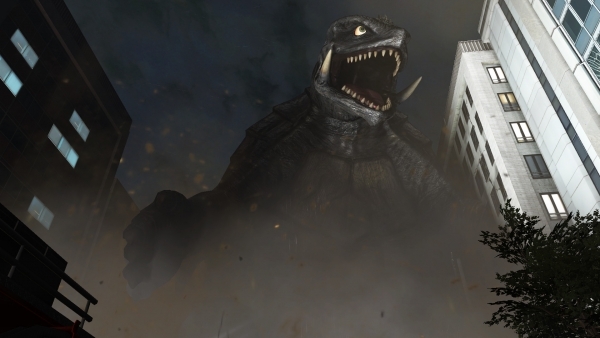 Gamera does not tolerate enemies of Earth. In order to counter the alien invasion, the large beast swoops down from the heavens. With a flashlight in hand, the protagonist moves forward into the darkness with the heroine. They slip through the countless Legion Soldiers awaiting them and aim for the ground above. In the subway station, movement is restricted by Legion’s grass body roots, which blocks the protagonist and company’s path like a labyrinth. The last scenario is teased by a fifth shadow from a fifth (unknown at this time) work. It is said to be highly mobile. 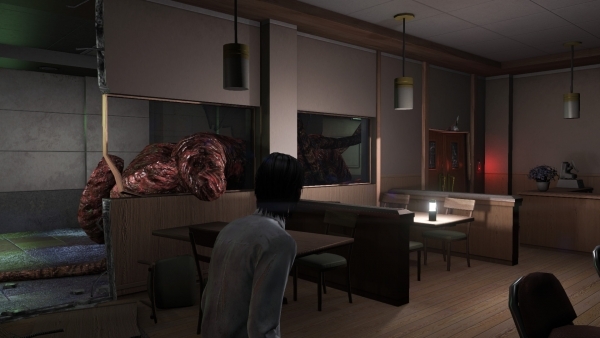 City Shrouded in Shadow is set to be released this Fall in Japan.